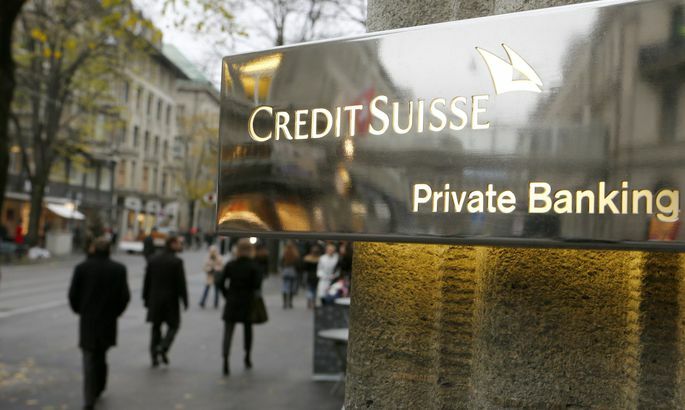 Šveitsi panga Credit Suisse Zürichi kontor. From 2016 onwards it makes no sense to hide income by private accounts in Swiss banks of family funds in Liechtenstein – data thereof will be dropping straight into our Tax and Customs Board server. The reverse also is true – banks in Estonia will be forwarding Finland, Sweden or any other state in Europe the data on their residents with accounts or securities over here. To impose the so-called European FATCA, Ecofin agreed at a meeting at end of October. Exchange of financial information has been agreed by 51 OECD member states, including tax havens like Switzerland, Liechtenstein, British Virgin Islands and Cayman Islands. «We took a big step towards transparency which, when it comes to taxes, marks the end of bank secrecy in the European Union,» commented Italian finance minister Pier Carlo Padoan. As agreed, state tax authorities will be exchanging information regarding all non-tax-resident’s financial accounts (as the usual bank account, securities account, insurance contract) in financial institutions (credit institutions, investment funds, insurance companies). The data will be exchanged starting September 2017. Aruba, Austria and Switzerland are expected to join up a year later. «Well the question arises: if we send information on people on other countries, why not then hand tax board the data on local residents,» commented Swedbank Eesti director-general Priit Perens. «Especially when they declare that bank secrecy is dead,» he added. The entire process started in the USA. Namely, Uncle Sam taxes all its citizens irrespective of where they dwell. The USA is the only country in the world with a global private persons’ taxation system established. In order to obtain taxes from their citizens in low tax and no tax regions of the world, the US in March 2010 rather quietly passed their Foreign Account Tax Compliance Act – the FATCA. The law entered into force on July 1st this year as for it they needed agreements with the states involved. To affect partner states, punishment proved most effective – if a financial institution will not grant the US the required data, 30 percent of its payments due in the US will be withheld. As Estonia also joined FATCA, our financial institutions (banks, investment companies, insurance companies) must present the US tax board – the IRS – bank account numbers, content of the accounts, names, addresses and US identification codes of all their citizens. Of the so-called European FATCA very little has been written. Rather – nothing at all, basically. Upon Googling, turned out a rare publication touching upon the topic is the Lebanese published Middle-Eastern news centred English language newspaper The Daily Star which wrote at the end of August that Europe may enact its own version of FACTA. The bank chief said extra expenses will also be brought by the fact that financial info requests by the USA, the EU and OECD differ, and a bank thus will have to maintain three differing systems. Foreign Account Tax Compliance Act, passed in the US in March 2010. In Estonia, agreement with the USA entered into force on July 1st 2014. A multilateral agreement will enter into force in September 2017.